If you want a stunning and rewarding full-size sedan that will amaze you with its fun-to-drive personality, the 2016 Honda Accord deserves a spot on your list. You can find a new Honda Accord for sale in Tampa at Brandon Honda. 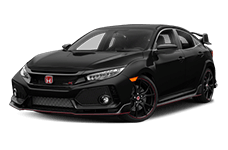 We are one of the premier Honda dealerships in Tampa and we have a great selection of new Honda Accord sedans and all-new Honda Accord coupes available now. Come and shop with us today at our Tampa Honda dealership and find your next dream car! If you are shopping around for a full-size sedan, you might have looked at the 2016 Mazda6, but it's just no match for the 2016 Honda Accord. The 2016 Honda Accord has been newly redesigned for the new model year and it is more stylish and sophisticated than ever. The long history of the Accord shines through in both the Accord sedan and the Accord coupe. With two impressive models to choose from, drivers can get a truly personalized ownership experience from the Honda Accord. The Mazda6 offers only one model - a four-door sedan - so shoppers hunting for a sporty full-size coupe are better off picking the Honda Accord. The Honda Accord offers a lot of great options, including two amazing engines for shoppers to choose between. If you are looking for efficiency and to save more money at the gas station, choose the 2.4-liter four-cylinder rated for either 185 horsepower in standard models or 189 horsepower in the Accord Sport trim. If you want pure power and amazing performance, choose the 3.5-liter V6 that is rated for 278 horsepower. 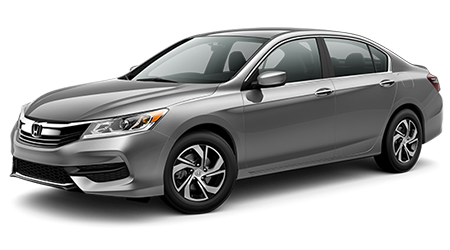 The Honda Accord is also available with either a six-speed manual, a CVT, or a six-speed automatic transmission. 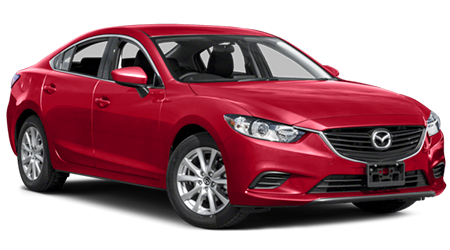 Every Mazda6, regardless of trim, comes with the same 2.5-liter four-cylinder engine. It's good for 184 horsepower and pairs with either a six-speed manual or six-speed automatic. The Honda Accord's two engines both out-power the Mazda6's and because you can choose between two different powertrains, the Accord wins once again in the customization department. Inside the 2016 Honda Accord you will find enough space for you, your family or friends, and your cargo. In its sedan form, this spacious vehicle offers up 103.2 cubic feet of total passenger volume, compared to the 99.7 cubic feet you get in the Mazda6. The Honda Accord has ore front and rear headroom, more front leg room, and more front shoulder room than the Mazda6 which will ensure that every drive you take - even those long-haul road trips out of town - will be comfortable. Choose the 2016 Honda Accord and never worry about squishing your rear seat passengers again. 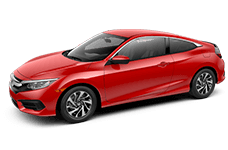 Brandon Honda is proud to be your Tampa Honda dealer and we are eager to show you the amazing 2016 Honda Accord Coupe and 2016 Honda Accord Sedan. Come see us from anywhere in the greater Tampa, FL area and find a new Honda for sale that suits your every need.